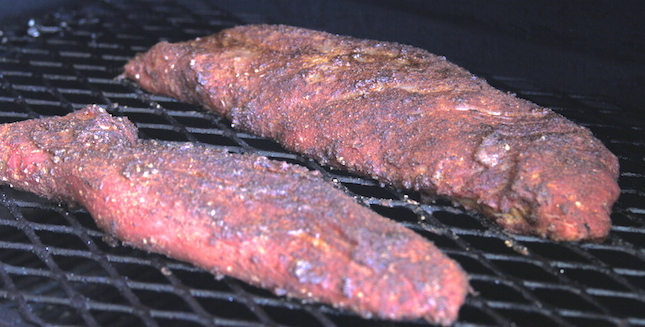 Preheat your Yoder Smokers YS640 to 225ºF. 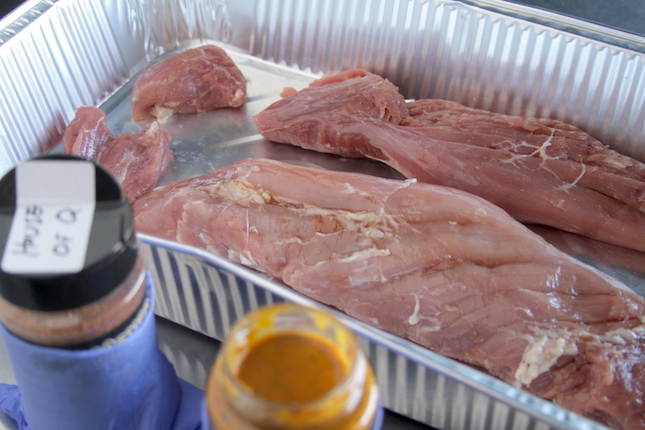 Inject your pork tenderloin with Smoke on Wheels Pork Marinade & Injection. Dry the surface of the meat with a paper towel. Apple a thin layer of House of Q Slow Smoke Gold BBQ Sauce & Slather. On top of the mustard slather, season generously with House of Q BBQ Rub. Rest five minutes. 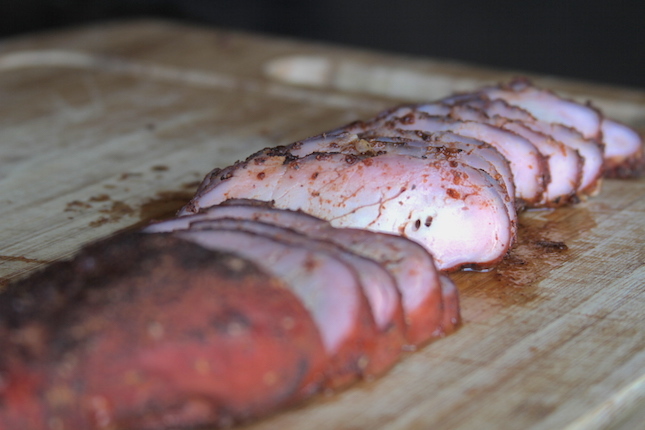 Smoke the tenderloin until the internal temperature reaches 145ºF. Check the temperature with an instant read thermometer like the Maverick PT-100. The length of the cook depends of the size of the tenderloin. Plan for at least two hours of cook time. Remove pork from the cooker and rest 5 minutes. Combine the greens and veggies in a bowl. Whisk together one part House of Q Slow Smoke Gold and two parts extra virgin olive oil. 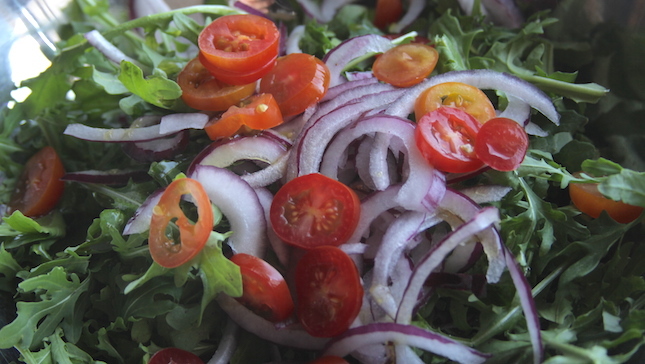 Drizzle your vinaigrette over the vegetables and toss to distribute the oil. 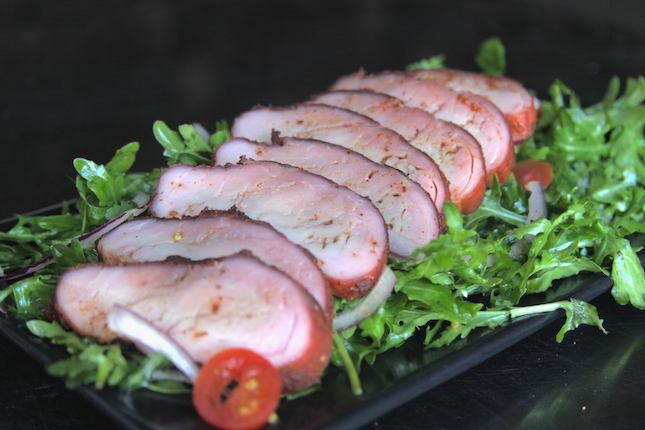 Slice the pork thin and serve over the salad.